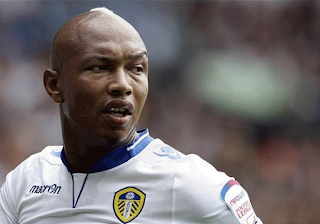 Former Rangers FC player El Hadji Diouf is set to cause worldwide havoc after he was appointed a Diplomat. The one-time Liverpool player who is said to be the father of all controversies caused a fuss recently when he accused ex-Kop team-mate Steven Gerrard of racism. But even with all that, the Senegal president Macky Sall president has a lot of faith in him and thought it will be wise to appoint him a diplomat and charge him with the task of winning trade deals for the west African country. Diouf, who helped the team win the 2011 SPL title and League Cup, said in a statement; “I’m an ambassador for president Macky Sall. I speak in the name of Senegal and help bring in investors. “I live in Singapore and I’ve met people there who want to help Senegal in various ways. We are close to signing deals. Some people have though the president's move is ridiculous since the player is known to be arrogant and of 'bad' manners. but with his kind of connection, he can do wonders for the country.